Evergreen House is open year round. Holiday hours may vary. Please click here for holiday hours of operation. We accept cash, debit and credit on-site. Click here for current exhibits. The Museum offers group tours of Evergreen House all year and seasonally at Quaker House to groups over five people. The typical group rate is $2.00 per person (including children). School groups and workshops might include additional supplies and will be charged accordingly. Please contact the Museum, 902-464-2300 in advance to book a time and for more information. For further information on school visits, please refer to the Learn section of this website. Evergreen’s story began as a tragedy. Alexander James and his wife Harriet Hawthorn (of Hawthorne St. and Hawthorn School), after losing 8 children to disease, moved to the “country” to escape the unsanitary conditions of the downtown areas. Evergreen was constructed in 1867 as this escape. With their remaining 3 children, the couple began a new life where Alexander James became a Provincial Court Judge, the Schoolmaster of Dartmouth, the head of the Regatta Committee and the head of the Mechanics Institute (similar to a community college). Evergreen also was host to many a visit from the famous Joseph Howe as the Judge and Howe were known friends. 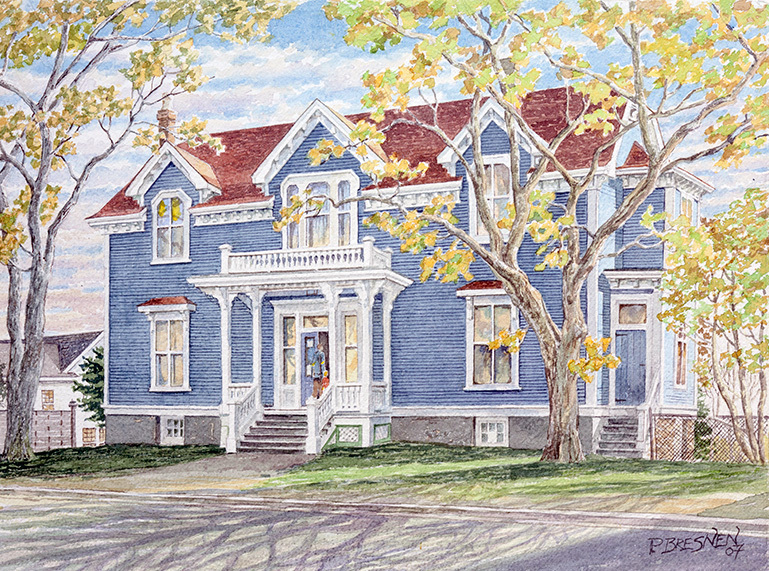 Evergreen House was also the home to nationally acclaimed Nova Scotian folklorist, Dr. Helen Creighton. In 1928, Helen began collecting the folklore of the Maritime provinces and would enjoy a career that brought her international recognition and earned her the title, “Canada’s First Lady of Folklore”. 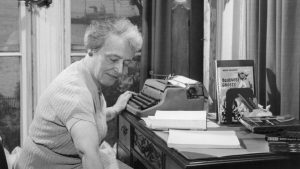 With Evergreen as her base of operations and home office, Helen collected songs like “Farewell to Nova Scotia”, stories, beliefs, superstitions, cures, folk ways and history and published this wealth of material in numerous books. In an age when many rural homes lacked electricity, Helen also invited local singers to Evergreen to record their songs. Helen Creighton’s folk song collection is legendary—approximately 16,000 songs and variants, but she is perhaps best know for her collection of tales of superstition. Her book, “Bluenose Ghosts”, continues to be a Canadian best seller. Local residents still remember coming to Evergreen on Halloween and being met by Helen dressed in a witch costume and telling ghost stories. It was also here in Evergreen that she had many paranormal experiences and heard three knocks, a “forerunner” of tragedy. In 1978, the City of Dartmouth purchased Evergreen from Helen Creighton with the support of the Nova Scotia Museum. 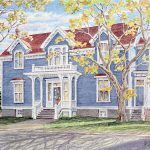 The house is currently interpreted in this Victorian style and is an impressive example of a mid-Victorian gentleman’s residence, is furnished with period antiques from the Museum’s collection and commands a fine view of Halifax Harbour. 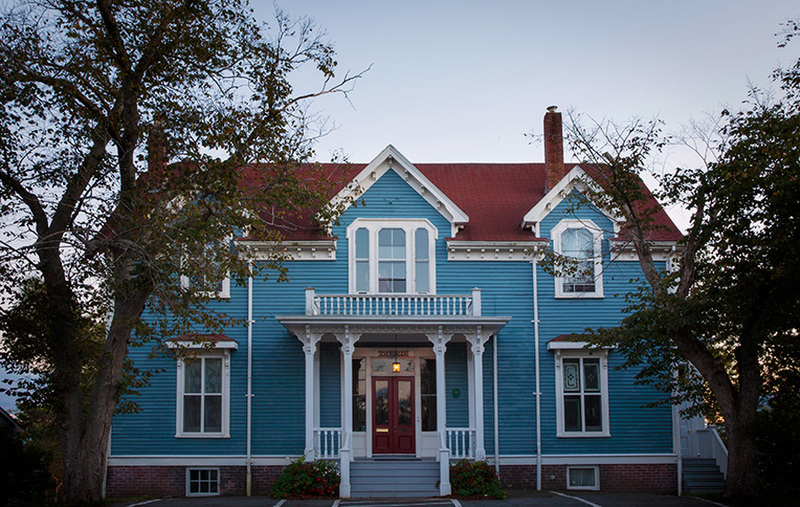 Today, Evergreen is both a historic home open to the public as well as the headquarters of the Dartmouth Heritage Museum administration until a permanent home can be located.